This guide walks you through the process of configuring Redmine to connect to a Git repository, so that users created in the Redmine application can also use the Git repository. 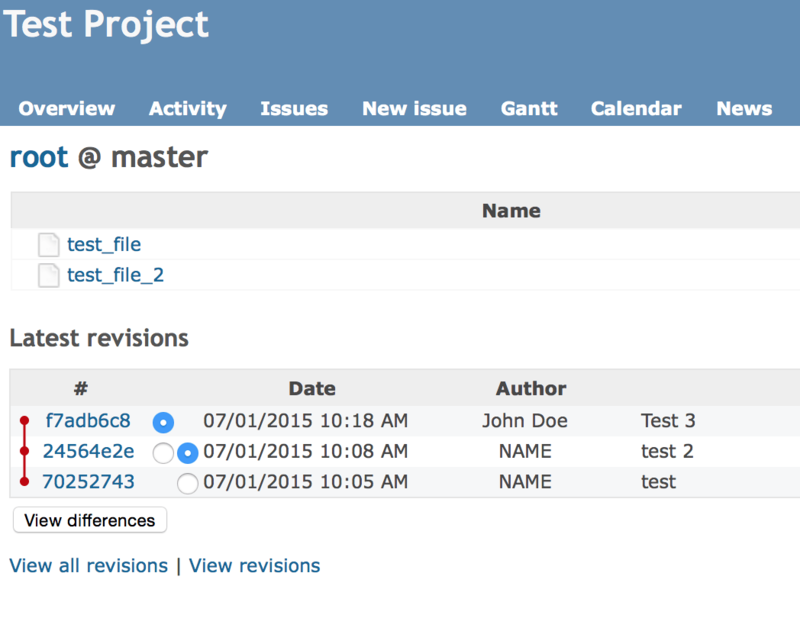 For example, new users in the Redmine application will also be able to “push” changes to the Git project repository. This guide is based on the Felix Schafer guide posted on the Redmine Wiki. NOTE: Before starting this guide, take into account that these steps are not necessary if all you wish to do is track the repository changes in the Redmine application. If you only wish to track repository changes and link to issues, you only need to configure the project to point to your repository, as described in the section on using Git with Redmine. You have a working Redmine instance. You have a working knowledge of Git and Redmine. Create a Git repository. This guide will create a repository named test under the projects/ directory in the user’s home directory. 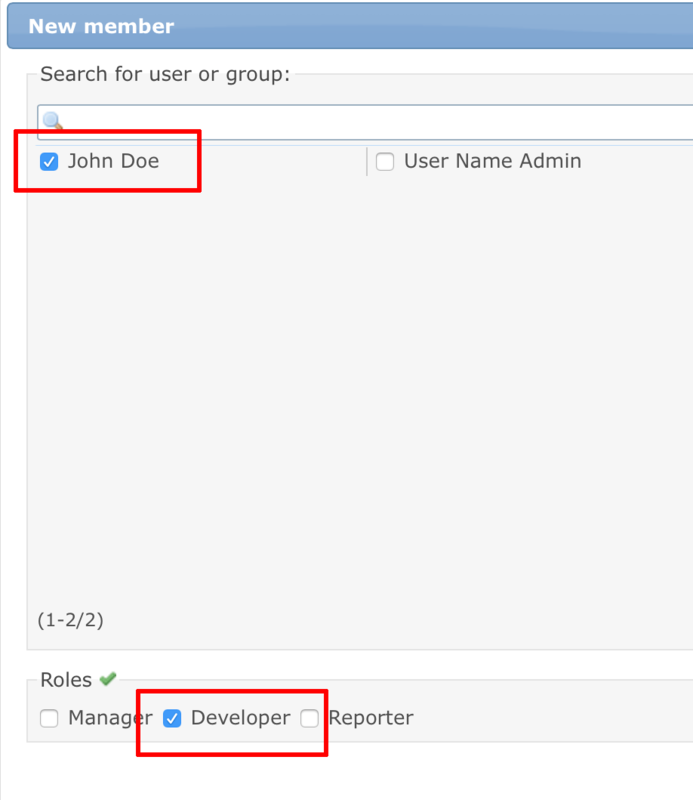 Note the name of the repository as you will need to use the same name as the identifier for your Redmine project in a later step. Edit the grack/config.ru file to specify your Git project location. Replace the USERNAME placeholder with the correct username. Test the basic behaviour: start the Grack server and try to clone the repository and push the changes from a different machine. IMPORTANT: Also ensure that port 8080 is open in the firewall as otherwise, the next step will fail. Next, clone the repository, add your name and email address, and push changes from a different machine. Remember to replace the SERVER-IP placeholder below with the actual IP address of your Redmine server, and the EMAIL_ADDRESS and NAME placeholders with your email address and real name. $ git config user.email "EMAIL_ADDRESS"
Writing objects: 100% (3/3), 200 bytes, done. Next, clone the repository again, add your name and email address, and push changes from a different machine. Remember to replace the YOUR_DOMAIN_NAME placeholder below with your own domain name or the domain name of your server, and the EMAIL_ADDRESS and NAME placeholders with your email address and real name. Writing objects: 100% (2/2), 234 bytes | 0 bytes/s, done. The next step is to configure Git access control using the Redmine.pm module. You will also need to add the following lines to the /opt/bitnami/apache2/bin/envvars file. Note that the library path shown below (/opt/bitnami/perl/lib/5.16.3/x86_64-linux-thread-multi/CORE/) varies depending on the platform, so it’s a good idea to verify that it exists or modify it as needed. Log in to Redmine and create a new project. It is important to note that the project identifier configured at this stage must match the repository name created earlier. 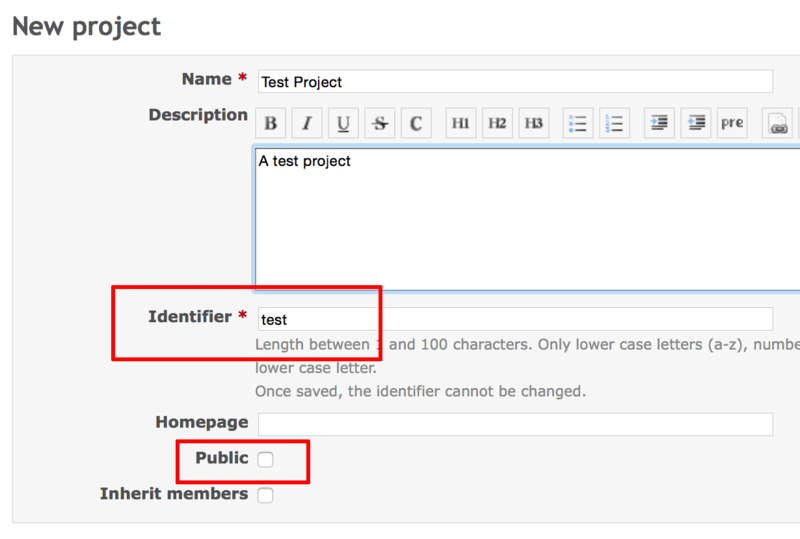 In this example, the project identifier is test. Also ensure that the project is configured as private. Note that the project must be configured to work as private for this configuration to work due to a Redmine bug. Click “Create” to save your changes and create the project. From the project dashboard in Redmine, click the “Settings -> Repositories” tab and then click the “New repository” link. 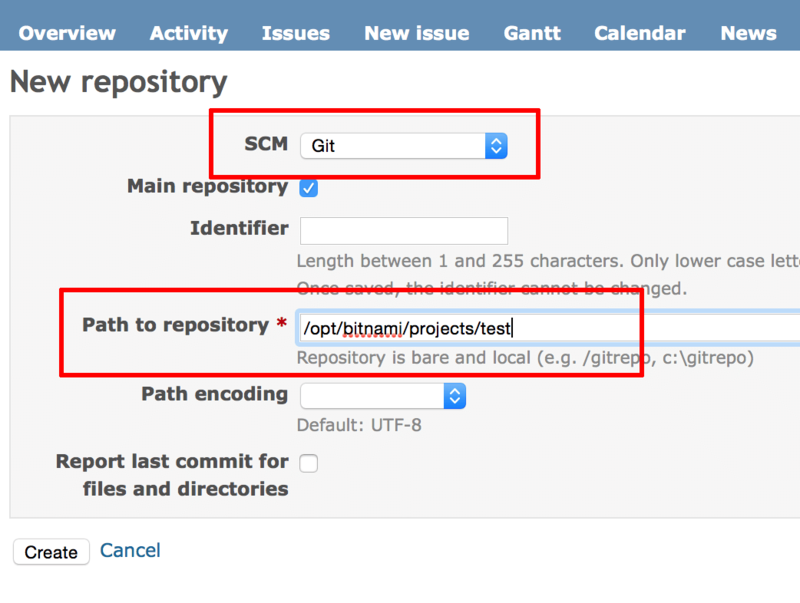 Select the “SCM” as “Git” and specify the path to the repository. In this example, the path will be /opt/bitnami/projects/test. Click “Create” to save your changes. From the project dashboard in Redmine, click the “Settings -> Members” tab and add one or more users to the project with role “Developer”. Save your changes.